Melanie Gall is a consummate performer, whose commanding stage presence and operatic voice lights up a stage. 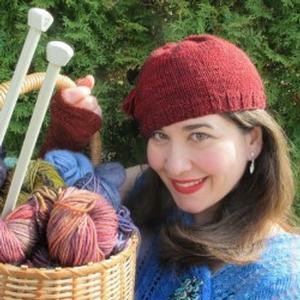 In this year’s Fringe offering, she presents a cabaret based upon the knitting songs of WWI and WWII. These songs are, in turn, quirky, funny and poignant, and Gall captures the historic style, while imbuing the music with her own style of singing. For both knitters and non-knitters alike, this is a window into the past that is well-worth visiting.